Lean manufacturing impacts several operational performances. The usefulness of JIT links with suppliers is also well known. However, literature lacks strong empirical evidences to exhibit the relationship between lean manufacturing, operational performances and JIT linkages with suppliers. This paper aims to investigate this relationship. A questionnaire-based international survey was used to obtain the main purpose of the research. Data from a sample of 200 companies were analyzed using a multiple regression methodology. 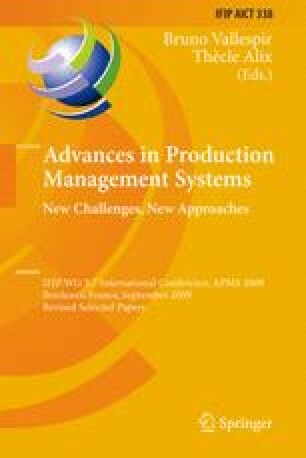 The analysis demonstrates that JIT linkages with suppliers positively moderate the impact of lean manufacturing on punctuality, while the moderating effect is absent when considering efficiency and throughput time performance.